Most of you know that subjects like forgiveness, repentance, mercy, reconciliation and so on are regularly twisted and distorted into unbiblical caricatures of the real thing. And then they are used by the wicked to continue to oppress the righteous. So here in this article I need to be very clear that what I am about to say is not about accepting fakes and facades. It is not about demanding that we all must reconcile with the unrepentant or even with the repentant (a very rare creature) whose past evil was of such a nature that there cannot be reconciliation in this life. No, what I want to talk about here is an aspect of real forgiveness that is extremely freeing. It has to do more with us being forgiven than with forgiving. And, like all truths, it is a subject that the wicked will distort and try to deny us. Notice then in the scripture above that the Christian was at one time a sinner. It’s quite a black list Paul gives, isn’t it? But notice that powerful phrase – and such were some of you. No genuine Christian, no person truly born again by the Spirit of God through faith in Christ, continues to walk in sin. Why? Because our very identity has been changed. We are no longer who we used to be. Is that not what Paul is saying here? Of course it is. And furthermore, he is saying that if anyone is still who “they used to be,” then they are not going to see heaven. They aren’t saved. Christians are once dirty people who have been washed clean by the blood of the Lamb. Justified, pronounced righteous before God and sanctified – made holy. Anyone therefore who walks habitually in sin, showing no fruit of repentance, simply is not saved. Period. Now, to the main point. “Such were some of you.” Paul says “some” because he is referring to the particular sin list he has given, but what he means is that “such were all of you” in that we all were sinners, dead in our sins, loving our sins and hating God. Such were we. Were. But not now. We are new creations. We aren’t perfect but our flesh does not define who we are – the Spirit of Christ in us and our new heart do. Act 9:13-15 But Ananias answered, “Lord, I have heard from many about this man, how much evil he has done to your saints at Jerusalem. (14) And here he has authority from the chief priests to bind all who call on your name.” (15) But the Lord said to him, “Go, for he is a chosen instrument of mine to carry my name before the Gentiles and kings and the children of Israel. Paul himself knew what he had been. He acknowledged he had been the Chief of sinners, but then, you might say, he forgave himself because Christ had forgiven him. 2Co 5:16-17 From now on, therefore, we regard no one according to the flesh. Even though we once regarded Christ according to the flesh, we regard him thus no longer. (17) Therefore, if anyone is in Christ, he is a new creation. The old has passed away; behold, the new has come. So, let me ask you – have you forgiven yourself? Do you answer the enemy’s accusations when they come against you with “But God, being rich in mercy, has washed me clean”? And are you allowing other believers to be who they are in Christ, not still seeing them as the old man they once were? Do you see it? Wicked, evil abusers just love to keep running back to who we used to be. “Well, I remember when you…”. “You think you are so holier than thou. You did this and that just like all of us.” They do this in order to try to shame us and control us. Don’t wear that shame. If you know Christ, then the new has come, the old has passed away. Our former sins, He remembers no more. I think they are continually pushing us to the edge to make us act like them so they can point their poisonous finger at us and say ‘see, you’re a sinner still, a real Christian would never be so unforgiving, angry, anti-social (when gray-rocking), etc.’! From spreading ruinous lies, petty slander, wrongful criticisms, and so many other negativities about us, their goal is to have us look like the evil one, to look, be, and act like them. All the reactions to their toxic behaviors create the illusion that we are like them to those that won’t see the truth. I am not viewed as my true self because of this by so many…no matter how much good I do, how much love I show to others, somehow the lies and slander always win out, and as I become more and more of a recluse because of it all, the less I can prove the truth and be the truth, at least with those ‘nearest and dearest’. They portray good as evil and evil as good…no matter what, and we just have to try to stay ‘standing’ in the midst of all the chaos and destruction, as they continually try to murder our true, newly created selves in Christ. Being aware and mindful of their tactics has been helpful, and reading your blog, as well as others, has been very freeing…but they will never quit, so we mustn’t either. Praying strength and courage for all who are being smothered and oppressed by these evil beings…stay true to Christ’s Spirit living in you, and remember, He got quite angry at the hypocrites too, we’re not alone. I hear you, Jessica. And when the abuse has deformed us and harmed us to the point of being reclusive — even agoraphobic — people cluck and hate us all the more. 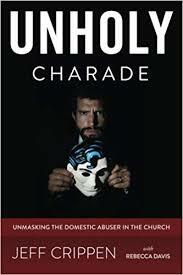 The abuser and his allies control the narrative — as there has only been his narrative from the beginning and even if one does break their silence, nobody wants to hear it, nobody wants to have been wrong in their hatred of you, their being snowed in by the abuser, so it doesn’t matter — speak or not, the victim is hated. I’d never have chosen this life for myself. I never imagined I’d be disabled, too mangled from abuse, violence, and violation to function anymore in the real world, and housebound. But that is what happens. And what comes of the abuser(s)? Their lives go on, all the better for it. Ignorance goes a long way. Decades ago, I can recall, in my ignorance, having been duped into thinking the abused has some (or even all) of the blame — as abuser narratives are common and our society hates victims, blames victims, and faults victims for their victimization — and now I know better, having experienced it firsthand. Thankfully, we do have this blog. And God forgives us for our ignorance. I used to think the abused somehow just needed to act differently, that they were to blame, and they were stupid or liked being abused. How wrong I was! I was a child and fed society’s general mindsets, but still, I loathe my ignorant former self.